We were excited to hear about the recent investigation into online moving companies that, for years, have been taking advantage of consumers. For years reputable moving companies have had to listen to horror stories of people getting ripped off, and their belongings effectively being held hostage by over night moving companies that are out to prey on innocent victims during an already stressful time in their lives. The senate investigation reported that thousands of people have been duped into paying for what seemed like the cheapest option and then, when they were about to have their belongings delivered, they were asked for hundreds of dollars more than the original estimate. Even worse, all of their items were held ransom until they paid the difference, often costing hundreds of dollars more. If you’ve ever made a long distance move, you already know how stressful it is to pack, leave friends and family, and find a new home. Moving is an expensive option, and so many people are strapped for cash in this economy that saving a couple hundred dollars seems like a great deal, but sometimes, as in this case, saving money isn’t everything one would hope. While the senate is now taking steps to make sure these companies don’t take advantage of people, there is still likely a long way to go. Once a law or bill is passed, it will become illegal, in some situations, to with hold a person’s belongings for not paying their moving bill, but some may still disregard the new law. It isn’t until someone breaks the law, and their consumer presses charges, and there is a judgment, that things begin to happen. The fines for with holding delivery can be as much as $10,000 per day, but not everyone will press charges, and this keeps shady movers in business. But this is why these stories are so important, because they have brought to light a major problem in the moving storage industry, and now consumers will have the support they need to make sure they get their items returned. Even more, these fly by night, shady moving companies will disappear making the decision to hire much less dangerous. It is so important as a consumer to take steps to make sure you do not become one of these scammed or ripped off consumers. 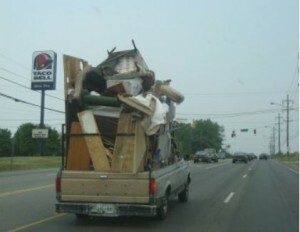 There are three simple things you can do to make sure your moving company is reputable. 1) Get recommendations from friends. 2) Do a background check on the company. 3) Choose a company that has the most realistic quote. The distance of your move is going to be the biggest indicator of cost, remember gas is very expensive, you will be paying for the labor time of the driver, as well as a fee for using the moving truck. As a company who provides moving solutions, we look forward to this regulation, as it will make it difficult for other companies to give us all a bad name. We have been providing moving services for 20 years, and we strive to provide a service that is useful to consumers, fair on price, and reliable. If you have any questions about this new regulation, or have any experiences to share yourself, please respond below. We would love to talk more about it. 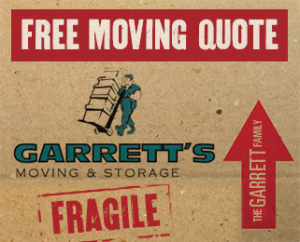 Garrett’s Moving and Storage has 20 years of experience in moving and storage in Dallas and across the country, and we are BBB accredited so you know your belongings will be in good hands. We also have a best-in-the-industry extended coverage policy. Contact us today at 972-487-5843 for a free estimate or click here to request a quote online from the leading moving and storage Dallas company. This entry was posted in Storage Industry News, Stress Free Moving Tips. Bookmark the permalink.